This is my entry to the RIP contest. I had not planned on entering, but Naquaiya asked me to partner with her and I could not pass up the opportunity. It was a tough decision looking through her body of work to select a painting to RIP....so, I passed off the responsibility to my daughters. They thought it would be funny for me to do the cupcake...since I am currently on a strict "no sugar" diet. 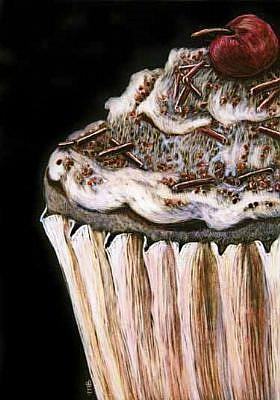 I love her scratchboard work and jumped at the choice of the cupcake. 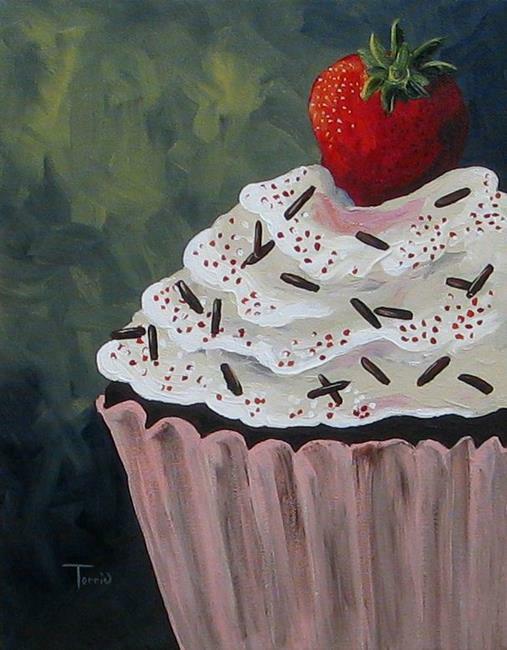 In painting Naquaiya's Cupcake, I used my background color that I have used with several of my pear and lemon paintings. I also replaced her cherry with my favorite.... a strawberry. This has been a wonderful opportunity to work with a gifted artist, thanks Naquaiya for inviting me!